Cogs London has grown and evolved immensely over the past 14 years. Situated in the heart of East London neighbouring some of the fastest growing agencies and start-ups in the country; Cogs has taken heed of its neighbours and their dynamic set up. 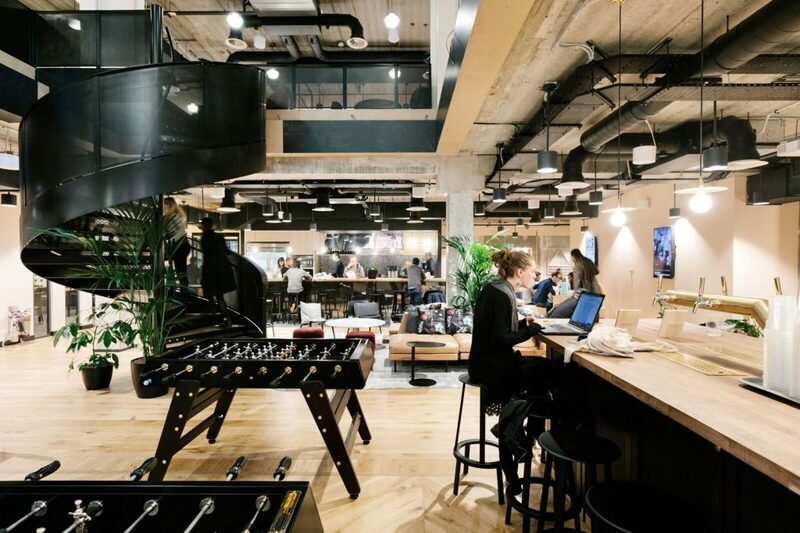 On the 1st December 2018 Cogs London have relocated to a WeWork building, famed its innovation this co-working hub promises to increase productivity and collaboration. Filled with a mix of different businesses covering an expanse of industries and sizes, it provides a buzzing business community. Cogs have always promoted a collaborative environment. In each of our offices globally we have catered for this with breakout areas for the team to unwind, chat. When a team collaborates smoothly, openly sharing information and communicating seamlessly they’re able to work at their most effective level. It’s something Cogs help our clients with regularly, suggesting ways to promote inclusiveness and how to attract/retain top candidates. 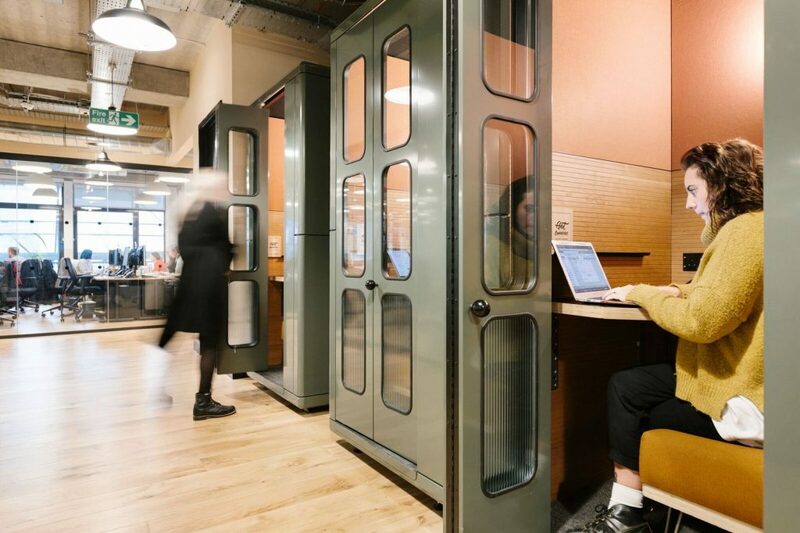 With the introduction of breakout spaces for brainstorming, shared kitchens to eat and socialise in, open plan workspaces to encourage hot desking are all useful tools for developing a more collaborative team. The workplace is changing, what employees want from a business has evolved. The most successful businesses have taken this on board and evolved too. Consider Google, they are the front-runner in collaborative workspaces, offering employee s a lifestyle, not just a job. While not every business has the budget or agility to adopt such an offering; small changes that encourage teams to work alongside each other more closely is definitely the secret to success. When employees feel more involved and connected – they become invested in the business and retention rates will naturally rise. “Moving to WeWork has been an absolute no-brainer for us. It allows us to further immerse ourselves in our industry working around businesses that we can support through great talent and rapid growth. Further to this we appreciate and understand that the workplace, and what people need to be most productive has evolved. As a business at the forefront of our industry, we understand that putting our people’s welfare first allows them the best possible platform to stay ahead of the race for talent in such a fast-moving, future catalysing sector. Being in a WeWork building has allowed us to be more agile in how we operate making sure people have the flexibility to be most productive. We believe that breaking out of the mould of what is described as ‘presenteeism’, is very important in today’s day and age. Working a 10+ hour day in one seat doesn’t equal high-quality work or life.